A 2,347 sq ft duplex penthouse at Northoaks in District 25 will be put up for auction on Feb 21 by Colliers International. The property is a mortgagee sale, and this will be the second time it’s on the block. It was previously put up for auction by Colliers on Jan 22. The opening price then was $1.25 million. While there were two counter-offers after the auction, both were below the reserve price, according to Colliers International auction & sales department. The opening price this time around will remain unchanged at $1.25 million, says Colliers. The penthouse on the 15th storey overlooks the swimming pool. Northoaks is a 720-unit executive condo (EC) developed by Hong Leong Holdings and completed in 2000. Located at the junction of Woodlands Avenue 7 and Gambas Avenue, it is in the vicinity of amenities such as supermarkets – Giant at Woodlands Mart and NTUC FairPrice at 888 Plaza. 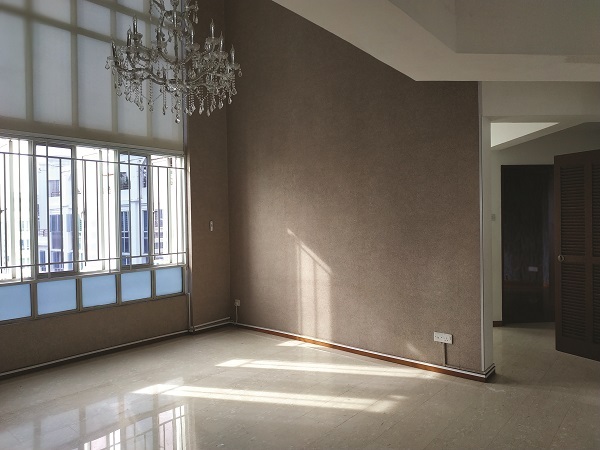 It is a 12-minute walk from the Admiralty MRT station on the North-South Line, as well as a 11-minute drive from the Woodlands Checkpoint. The project has a wide range of unit types, from two-bedroom units of 1,055 sq ft to 1,173 sq ft, to three-bedroom units of 1,216 sq ft to 1,636 sq ft. 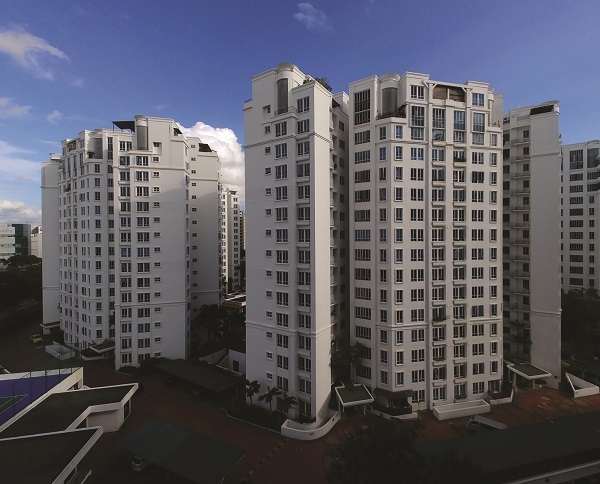 The largest units are duplex penthouses with sizes from 1,948 sq ft to 2,486 sq ft.
As the Northoaks EC was completed more than 10 years ago (it is 19 years old today), units can be traded in the resale market like other 99-year leasehold private condos. The project has 77 years left on its lease.